This report is based on the views expressed during a workshop on July 27, 2017 organized by the Richard Nixon Foundation as part of its mission to create or contribute to actionable information for use by policy makers across the globe. Dr. Henry Kissinger said that President Nixon “created a set of international policies whose main outlines survive to this day.” One of the most important is triangulation; by improving relations with China, the U.S. carved out favorable negotiating positions with the Soviet Union — while improving relations with both countries. 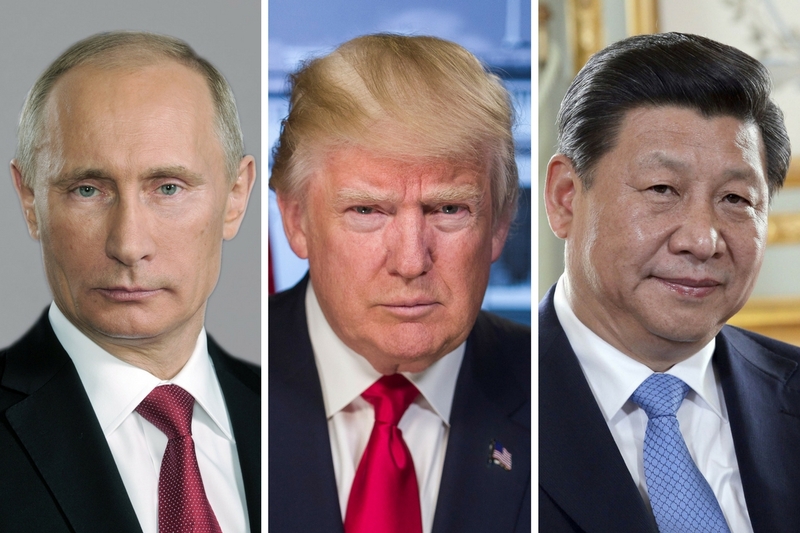 Is the concept of triangulation between China, Russia and the U.S. still relevant in today’s world, and what can Americans expect the Trump administration’s policies toward Russia to be? Triangular diplomacy refers to ongoing trilateral relations between the United States, the People’s Republic of China and the Russian Federation. President Richard Nixon’s grand strategy was centered around the concept of triangular diplomacy, wherein his administration courted China in order to put negotiating pressure on the Soviet Union. In 1969, when Nixon became president, Sino-Soviet relations were at a low point. The two countries had very sharp ideological differences, and disputes over territory. The Chinese leadership was worried about the possibility of a Soviet attack. Nixon’s triangular diplomacy was, more than anything, geared toward negotiations with the Soviet Union. As Nixon told his National Security Advisor Henry Kissinger one month before the historic trip to China: “the China move I’ve made not because of any concern about China, because I have none, not for fifteen years. But I think we need to do something about the Russians and to have another specter over ‘em.” By the mid 1970s the U.S. established an intelligence post in China to monitor Moscow, and relations were normalized by the late 1970s. Conversely, the triangular relationship also allowed U.S. leaders to gain diplomatic leverage in talks with the Chinese. According to Winston Lord, former special assistant to Dr. Kissinger, and later U.S. Ambassador to China, the U.S. and the Soviet Union had built a relationship that was decades long, and Nixon and Soviet leaders were already negotiating with each other on a host of issues. “We had a more normal relationship [with Moscow], we could have arms control… we could have principles of international relations,” Lord recalled. Since that time, the Soviet satellite states of Eastern Europe each collapsed, the Berlin Wall came down, and the Soviet Union itself collapsed in 1991. There are 15 successor states, including Russia, each with its own global relationships, partnerships and alliances. Today, many analysts have concluded that China’s purchasing power parity will overtake that of the United States within the next 10 to 20 years. In addition, about 40% of world economic growth is fueled from China. In terms of Global GDP, Russia’s share is relatively flat at around 3%. China is about 26%, while the U.S. is about 19%. The United States leads in per capita GDP. U.S. defense spending totals 40% of the world’s total military spending. China is second at 15% of global spending. Russia is third. The remaining seven are all either partners or allies of the U.S. In terms of exports, 40% of Chinese exports go to the U.S., Japan and South Korea. Another 40% goes to the European Union. Conversely, only 7% of U.S. exports go to China. U.S. relations with both countries remains challenging on a myriad of fronts, including interpersonal relationships between each’s head of state; yet there are issues, such as North Korea, which may unite all three powers. Soft power refers to a state’s power to attract based on ideas or concepts as opposed to force. Since the fall of the Soviet Union, the U.S. had led a liberal world order; this is a rules-based order, not an ideological order. In 2011, the U.S. began a pivot to Asia to counter Chinese power in the South China Sea. The U.S. and Russia have been backing opposing sides in the Syrian Civil since 2011; while Russia intervened in the Caucuses in a war against Georgia in 2008, and invaded and annexed the Crimean Peninsula from the Ukraine in 2014 following the removal of the Russian backed, Ukrainian President Victor Yanukovych. The Russian government has also been accused of tampering in the 2016 U.S. presidential election. Russia and China have far more at stake in their relationships with the United States than they do with each other. Russia and China have better relationships now than at any point since 1972; Russian President Vladimir Putin and Chinese President Xi Jinping spent two days in bilateral talks in Moscow before the G20. For Russia, China has become an important market for energy and for arms. It is within Russian interests to have good relations with China. Russia’s relations with the West are in a terrible state, but they would like to have good relations with the West; the obverse is a subordinate relationship with China. Russia is much weaker than China economically. There is a diffusion of global power that is occurring today and Europe’s is relatively declining while countries like India have been emerging powers, so a discussion of the trilateral relationship needs to be viewed through a larger strategic context. We are living in a world that is not quite yet multipolar, but is close; it is not unipolar, nor bipolar, and sometimes there aren’t any poles. The world is made up of many actors that are important powers, so polarity must be viewed through a broader prism. The Russia and China of today are not the Russia and China of 1972, in that technological advancements have allowed each country’s society to open. The United States needs to look and plan at what it wants relations with Russia and China to look like ten years from now; U.S. leaders need to think strategically in terms of national interest. Russia and China differ in the way that they look at their borders and spheres of influence; Russia, historically, asserts claim to those states on its periphery, while China is primarily an Asian power. The U.S. sees itself as a global power in every sense. The U.S. dominates the world in the sense of soft power, although perhaps not as much as it did in the Cold War era; there is no other country that embraces the Russian or Chinese political models. The U.S. dominates the world with its alliance system. China’s one ally is North Korea and Russia’s one ally is Syria. This assists the U.S. in spreading its soft power influence throughout the world. China remains enormously dependent upon the U.S. and its allies to sustain economic growth. China and the United States have a very disproportionate interdependence on trade. Both China and Russia need resources and relationships only available in the West. Russia displays a unique kind of soft power that, despite its economic inequalities with both China and the U.S., has seen successes, especially in terms of inserting the opinions of the Russian government into American political discourse. Russia also exerts soft power by asserting order and control, whereas Europe is seen as in a state of chaos due to its very liberal philosophies, especially on migration. Russia has this power while the Soviet Union never did. Russian soft power does not extend nearly as far as U.S. popular culture does. Central Asia is concerned about Russia which will, in the near future, pose a great many challenges to the Russia-China relationship. There may be a great power clash over the reliability and long-term reach of each country’s political institutions. Russia is not executing necessary economic reforms; China’s political system is riddled with contradictions but, overall, is performing well, despite decades of predictions to the contrary; the U.S. should prioritize domestic reforms, especially infrastructure reform, to allow its political institutions to carry on and dominate. Neither Russia nor China wants to pursue serious reforms to its authoritarian regime. Russia believes that its inherent conservative sense of social order is threatened by democratic ideas. Overall, the international system is chaotic and ill-defined. If the U.S. steps back from the world order that it established, the U.S. is doomed to conflict with both China and Russia, and may pit Russia against China and visa-versa. China and Russia having better relations is a stabilizing, not de-stabilizing factor. The U.S. has more areas of congruent interest in cooperation with China than areas of conflict. China and the U.S. should work together on a host of issues, including climate change, water issues, globalization, and demographic urbanization. Personal relationships matter a great deal to Presidents Trump and Putin. President Putin will attempt to build a relationship with President Trump to Russia’s great advantage. U.S. sanctions on Russia will prove to be devastating because, due to low oil prices, Russia needs Western investment. Chinese senior leadership were hopeful that President Trump would win the election, because Secretary Clinton was extraordinarily unpopular with the Chinese leadership. President Xi has a very important five-year party congress this fall, and is actively considering an abrupt change in policy with the U.S. The Chinese will judge President Trump based on how many domestic priorities he is realizing. Russian attitudes toward President Trump are contradictory; they like his overtures to President Putin, but are concerned by his administration’s push to grow the defense budget. U.S. foreign policy is hampered right now due to the number of positions that remain unfilled in key Cabinet departments. North Korea is an intractable problem without a clear option. Neither China nor Russia can solve the problem; even China does not have enough leverage over North Korea to produce results, and any action by China may have a greater danger of destabilizing the situation. The U.S., China and Russia must all work together to reduce tensions on the Korean peninsula. At the moment, there is a lack of willingness to do so. The U.S. and China must be in continuous conversation on North Korea. The Russians do not view themselves as a major player in the North Korean conflict and instead view China as the primary actor for peace, and the Russians do not want to get out of step with China on this issue. All countries do agree, however, that the denuclearization of the Korean peninsula is within each’s national interest and larger global interests. It is difficult politically for China to move strongly against North Korea; if the Korean peninsula is reunited under a democratic system of government, the U.S. will extend its sphere of influence right up to China’s eastern border. The Russians share this concern. Any U.S. policy on North Korea will only go as far as South Korea determines it can. The American business community is not pleased with President Xi’s “China first” policy. There are no indications that the U.S. will change its policy toward Taiwan. The panelists were not united in one key conclusion: whether or not the United States has to worry about Russia and China allying or aligning against American interests. The Russian and Chinese have engaged in a strategic partnership to preclude the United States from gaining global hegemony. The panel was split over whether closer relations between China and Russia threaten the U.S. or not. The panel debated whether the loosening of the international order over the past decade — wherein the U.S. exerted itself less on the international scene — encourages both China and Russia to exert themselves more broadly, which could lead to conflict between the two of them.